You can buy George’s book from this page using Pay Pal. You do not need to have a PayPal account in order to purchase the book. You can use most of the established credit cards such as Visa, Master Card etc. Book inc. delivery to destinations within United Kingdom and Europe £15:00 sterling. Book inc. delivery to destinations outwith UK and Europe e.g. USA, Australia £18:00 sterling. the fort), lying to the west of the village. On the other hand, that part of the Great Glen immediately south of Fort Augustus fits the description “rock plain” so perfectly, it could have been coined for it, and very probably was. If the final consonant ey indicates an island or inch then who or what was Sithen? The origins of the name are obscure and, while a connection to Saint Swithin is possible, if not probable, Sitheney in fact takes its name in the first instance from Sithun, a town lying in an area to the north of what is now Stockholm in Sweden. Thus it can be taken to mean either Sithun Island, or the Isle like Sithun. Although my own preference is for the first alternative, the distinction is of little importance because on comparing a map of Fort Augustus with one of Sithun, now known as Sigtuna, one is immediately struck by the similarities between the two landscapes. Both lie at the head of long freshwater lakes, Ness and Malaren respectively, both lakes are readily accessible by boat from the sea, and both occupy low-lying meadowland by the water’s edge on a peninsula between two water channels, these being the Rivers Oich and Tarff in the case of Fort Augustus and two thin arms of the lake in the case of Sigtuna. So how does a medieval Swedish King come to find himself on the shores of Loch Ness? Well, before he died in 995, Erik, if not by force then by craft, lived up to his nickname by conquering Denmark and taking as his second wife the Danish Queen. It is plain to see from the evidence he left behind, that, following his accession to the Danish throne, he came over to Scotland, not just to visit his newly acquired Danish colony here, but to help himself to a share of the real estate. Thus, he acquired the south end of Loch Ness and an entire adjoining strath which henceforward has been known as his strath, Stratherrick. Looking out from the shore, the interested spectator will have seen an animal head with a long neck emerge from the water and travel through the waves for a few yards before sinking from sight again leaving, in many cases, an impression of a long curved back or hump before disappearing completely from view. Remind you of anything? This is the only explanation for a Loch Ness Monster which fits the vast majority of sightings (the dinosaur-like creature crossing the main road at dead of night with a sheep in its mouth being a notable exception). There is unlikely to be more than one Drakar keel down there so whether one sees on the surface a long curved back or a shorter more pronounced hump will depend on whether the keel has any forward motion when it inverts. bear. In Columba’s time the bear had been extinct in Ireland for centuries so it is not an animal with which he and his fellow Irishmen would have been in any way familiar. But although it would not vanish from Scotland for a few generations yet, it was by this time, in the latter part of the sixth century, a rarity. With so much impenetrable woodland for cover, it would have been perfectly at home on the banks of the Ness and, like its North American cousins, would seek its favourite food where the water is shallow, the flow narrow and the passing salmon most easily caught. Rising in the water from all fours onto its two hind legs, it would certainly give the appearance of a beast rising from beneath the waves, all the more so if viewed indistinctly through a screen of greenery. More than capable of killing a man if surprised, or interrupted whilst feeding, a brown bear would generally seek to avoid contact with humans, thus its readiness to flee at the sound of Columba’s voice. Taken with Adomnan’s reference to the dead man having been mauled and the beast’s emitting of a roar, all the evidence points in only one direction and that is not towards a loch-dwelling monster. This was not the first recorded sighting in Scotland of a monster but the last recorded sighting of a bear. Getting back to Hinba, I have to admit that I had never heard of it until I recently purchased Sharpe’s translation, in order to find out exactly what was the latest take on the saint’s beastly encounter which passed into legend as the first appearance of the Loch Ness Monster. Having then read the book, I could not escape the notion that the name Hinba seemed vaguely familiar. For day after day thereafter the question “Where on earth have I seen that name before?” gnawed away at the back of my mind. Then, one morning some weeks later, as I was standing outside Court 5 of the District Court in Glasgow, having a final read through my file before my client’s case called, the answer came to me from nowhere, right out of the blue like the dropping of a ton of pennies. Of course I had seen Hinba before! I had seen it in AcHINBAdy. Years of doing the Glasgow Herald cryptic crossword had finally paid off (not counting the half gallon of whisky it earned me one Christmas)! So, as for my question as to why a cross country visit from Iona to Inverness should necessitate a crossing of the River Ness, the answer is evident. When Iona is in Fort Augustus and there is no road along the west side of the loch, a crossing of the river is unavoidable. Why say more? As for Heth, Comgall is said to have accompanied Columba to the Court of King Brude and while there, founded a monastery in “The Land of Heth”. Heth, though, is not a place-name, as seems to have been universally assumed, but a personal one, being the equivalent of Aedh in Gaelic, the name from which Clan Mackay takes its origin. In his book, “From Loch Ness to the Aird”, Edward Meldrum tells of the battle in 1120 where the forces of Heth, Earl of Moray, were defeated by King Alexander I (the Fierce). Although changes in the course of the river make it difficult to pinpoint the precise location, the encounter took place on the flatlands at the Stockford [of Beauly]. Given that today’s county boundary between the shires of Inverness and Ross probably marked the march between the province of Moray and the former hostile Danish territory to the north in those days, it would appear that Heth and his allies were cornered and had no option but to come out from the fort at Beauly to face the army of the King coming to meet them from the south. the name to this day. Just look at where these saints set up their foundations: Columba at the south end of Loch Ness; Comgall, due north at Beauly; Cormac further north again at Portmahomack; Cainnech, as will be dealt with below, due west of Beauly at Corrimony and Brendan due east of Beauly at Birnie, near Elgin. Linked together on the map, with Beauly at the apex, they form the outline of a gigantic cross emblazoned on the land of the Picts. To borrow a phrase from the card table, these guys didn’t miss a trick. When the five of them had finished their agreed time in the Highlands, they celebrated together and went their separate ways. By a deed in the year 1255, Laurentius, son of Patrick, the Porter of Inverness, releases all right he had “in Bromihalu and the island” to the community at Beauly to whom the original grants had been made. The deed which alienated these rights is long lost to history so one must try to ascertain whether the release related to parts of Beauly or Achinbady. Finding the meaning of Bromihalu is the first step in doing so. This name appears to be a mixture of Saxon brom meaning broom and halieu, the old Greek word for fishers. It appears in Glasgow as the Broomielaw and means the same thing there, the broom field of the fishers. In other words, it was a salmon fishing station and, as such, the monks’ most precious asset. The cloisters were carved from Covesea stone in Morayshire which was so hard it broke the tools of the two young masons brought up from Bath. In the basement of the College are lavatory, bathrooms etc â€¦ The dormitory takes up, in one large room, the whole top floor and is divided into separate cubicles nine feet by six – furnished with wardrobe, carpet, bath, washing basin supplied with cold water tap and warmed with hot-air pipes. The first Headmaster of the new School was Oxford graduate, Fr Anselm Parker. On 14 July 1930 a meeting was held in the Headmaster’s room to discuss the revival of the moribund Old Boys Association. Representatives of both the ‘old’ school and the existing one expressed the hope that the meeting would give an impetus to the movement to create a really active Association. On 27 February the London Dinner of the Fort Augustus Association was held at the Rembrandt Hotel. Abbot Hunter Blair presided over twenty-one Old Boys and guests. Toasts were proposed by Fr Robert Steuart, SJ and the Hon. Everard Fielding, OBE. In his address Abbot Hunter Blair mentioned his coming visit to Rome and promised to ask a special blessing for the Association at his Audience with the Holy Father. He was given a tremendous ovation and the assembly, as one man, arose and sang ‘For he’s a jolly good fellow’. Lord Lovat, who was married on 10 October 1938, visited the School later in the term. The School Captain, W. Macdonald, had sent him a telegram conveying the boys’ good wishes. ‘The School owes much to Lord Lovat’s family’, commented The Corbie, ‘and it is fitting that Fort Augustus maintain a close contact with him’. As the War progressed the Abbey Press ran up against a shortage of paper, in spite of the best efforts of the printers, Brother Hugh and Brother Patrick. However, ‘we are determined to print as long as there is a sheet of paper in the office’, wrote the Editor of The Corbie. Between Winter 1944 and Autumn 1946, The Corbie did not appear. The Editor (Mr Scholes) complained: We don’t know whether corbies come under the Protection of Wild Birds Act but we sometimes feel that some such favour should be granted to editors. We have become so used to the query, ‘Wot, no Corbie’. One boy described his experiences on a Shrovetide holiday walk to Glen Afric: â€¦ we started to climb the mountain side. We followed the rough winding track which is used in the maintenance of the pylons that we saw zig-zagging up the mountains into the distance. For two hours the road led up and up, till at 1.15 we dropped fatigued into the snow to have our first rest and to eat our sandwiches. We saw an eagle rising and falling high in the skies .. Then on we trod, over the summit and down the other side. We left the snow behind and eventually entered a glade of birch and pine. The outstanding event of the 1954 Summer term was the School’s production of Gilbert and Sullivan’s The Pirates of Penzance. The part of Frederic was played with verve by J. McIntyre; H. Sweetman made a ravishing Mabel, while P. Mooney and R. Swift (sharing the role of the Pirate King) petrified the audience. Organiser-producer-singing teacher – director was Fr Thomas, Mr Worden took care of the music, Br Vincent made the costumes and Br Ignatius operated the stage lighting. The School would grow in the year 1956-57. While thirteen boys left in Summer 1956, twenty-two new boys arrived for the start of the Michaelmas term. At the height of the 1958 crisis in Lebanon, the President Chamoun of Lebanon telephoned the School and gave a detailed description of events in his country. His purpose was to reassure his grandson, Munier that he himself was safe and well. Many members of the School enjoyed pony riding at Inchnacardoch organised by Mr Anderson. Old Boy Mr MacDonald of Inchnacardoch Hotel supplied the facilities and Mr Cameron lent the ponies. When the School returned in September 1965 there were thirty-two new boys, bringing the School roll to 145. Mr Quinn joined the staff to teach French. Miss A. Clarke was the new Matron. What They Are Saying About ‘ABBEY BOYS’. I read various excerpts of THE BOOK on the plane, focusing on my time at both schools and found the flow and facts to be right on – memory lane at its best. Barely in the door, once home we cranked up our CD system, which is brand new (state-of-the-art design) and sat glued to the sounds of Ossie with his crisp upper accent, Vespers and Gregory on the organ – with just a shade of crackle during the organ part the sound quality was GREAT! A Big Hats OFF to you Mike in this effort. Do you plan on recovering and transposing any more of the tapes and records? Hope the answer is yes. Dear Ralph, Mike and Mike. The book popped on to my doormat this morning. I had a chance to note the kind handwritten greeting and have a quick glance at the pics before going out. It looks great and the selection of pics is excellent. (I’d have said that even I hadn’t found myself immortalized alongside Geoff Dyer and Iain.) Great work. I have looked over the book quite thoroughly (I admit to not reading every word) and I am immensely impressed at the thorough nature of your sources. No comparable record could be written of Ampleforth, and certainly not over so long a period I am at present writing the Third History of Ampleforth (because there have been two before) so I can sympathise with your work! I have got as far as 1925! Well done – congratulations! Dear Mike, Please let me know if the CD becomes available – I took part in that recording of Vespers! I’d love a copy. The book was fabulous, bringing back many memories. Regretfully the missing years of Carlekemp cover the years when I was there! I was one of those on the second row of the dancing display for Henry Cotton (I’m still waiting for royalties from the Pathe News Reel!!!) Somewhere I have a photo of a production of HMS Pinafore at Fort Augustus (about 1952/3) – will let you have a copy if I can find it. Appreciate your efforts in keeping us informed. Dear Michael, Thank you so very much for the copy of ‘Abbey Boys’…… I was delighted with it and it is indeed a magnificent work, you deserve enormous credit for what must have been a very exacting task in assembling the detail. 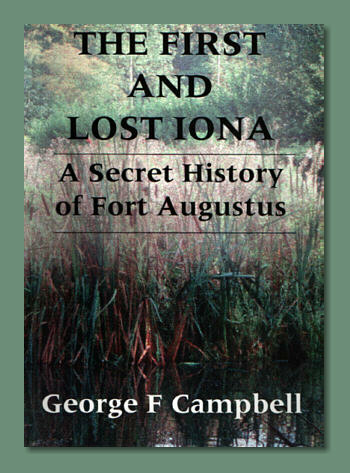 I found it quite fascinating and beautifully written, it was so nice to get a glimpse of the progress of the Abbey and school right from the start, and there were quite a lot of personalities and family who I remember such as Abbot Hunter Blair and Fr John Lane Fox apart from Lord Lovat and other members of the family. Dear Michael Turnbull Hurray, Hurray!! I got it! I got it!!! The second book just arrived!! Thanks so much! Just a note to thank you for “Abbey Boys”. Stupendous! Overall, Mike, it’s an excellent read, and it’s a project that someone needed to do, before records were destroyed and memories dimmed. I hope you’re proud of what you’ve done, and I wish you success in shifting all the copies printed. I’ve read Mike Turnbull’s book. It reawakened many fond memories of people and events.